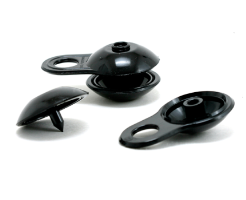 Tarp Grabbers and Grippers are two versatile alternatives to eyelets. Grabbers are made from strong recycled material, and are up to 4 times stronger than brass eyelets. They are easy to install by piercing through the tarpaulin, and can help repair old sheets in just seconds. Eyelet diameter approx. 15mm. 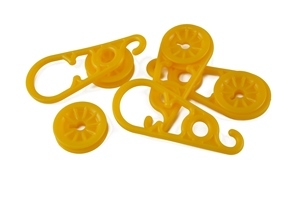 Yellow Grippers create additional eyelets and fixing points without actually piercing the tarpaulin itself. These can be used again and again, and are available in packs of 4. ORDER 1 PACK - P&P JUST £2 +VAT!